The more predicable end to this story will be that Apple buys Adobe, war over, and presto Flash becomes remains the defacto standard of the UI. I’m expecting an announcement in a few months. In addition to the Tenma driver, I just finished writing a driver for the TEMPer usb temperature sensor. I found that much of the information on the Internet regarding linux drivers for this device was wrong. Perhaps they refer to a different version of the part. The usb device I received uses a customized HID chip. You can find the linux driver here. Note that this driver is based on the libusb user space library and is not a kernel level driver. The driver can be compiled either as a standalone program or as a library to your own application. Permissioning is handled with a udev rule file. I bought a Tenma 72-7730 DMM for work so we could record data from our temperature chamber. The DMM is reasonably priced for a USB based instrument. Unfortunately it did not come with a driver or software for linux, only windows, so I was stuck reverse engineering the interface. The USB is based on a Hoitek UART to USB device that interfaces into the linux HID code instead of the serial tty driver. The Hoitek site is currently down (looks like they lost their domain name, maybe they were bought or something) but I found enough documentation on the internet to set the bit rate for the device so I could see what was coming on the HID interface. Long story short, here is the resultant gnu/linux software to fetch raw data, screen readings, and floating point values from the DMM. The software can be run stand-alone or as a library for your own application. Instructions are included. I wrote a simple program to download to and dump the memory of an MSP430 via the TI USB FET a couple of years ago. I made it available at the time in source code form (TI gave me permission as long as I made it clear that TI does not support my code). I was recently forced to look into upgrading to the new MSP430F249 part and wanted to use my old code to download. Guess what? Things had changed. 1. The firmware in the USB FET needed to be upgraded. I installed the windows version of IAR (the current one) and it automatically downloaded the new FET code. OK so far. 2. The new firmware (version 20305000) is incompatible with the old firmware in that the old firmware had a list of available MSP430 devices built into the firmware itself, while the new firmware does not. In addition, there appear to be new commands to the FET that I don’t know about. I am waiting for TI to give me some info. 3. I did a little “research” and found that I could get the new firmware to work by exchanging some messages. First one must send one of the new messages to return a code indicating the type of device (for example, an MSP430F249). Next one must lookup the device in a table and send a couple of messages to configure the FET for that device. Therefore the linux code must have configuration messages for each supported processor while previously these were stored in the FET itself. I have some code that will work with the three processors that I use: 149, 1611, and the 249. One can add ones own processor to this code if you can figure out the magic messages that are sent to initialize them. It would be nice if I could get all of the magic messages. The code is available here: http://www.relavak.com/downloads/uif430-1.0.tgz. You can now play Pin Hockey on any Flash platform (like a PC or a Mac). The flash port supports most of the features of the DS version including single player and two player modes. Currently dual screen play is not supported. Check the OPTIONS screen for selecting options and keyboard mappings. Slammer play requires a mouse. What was Relavak Labs first project??? 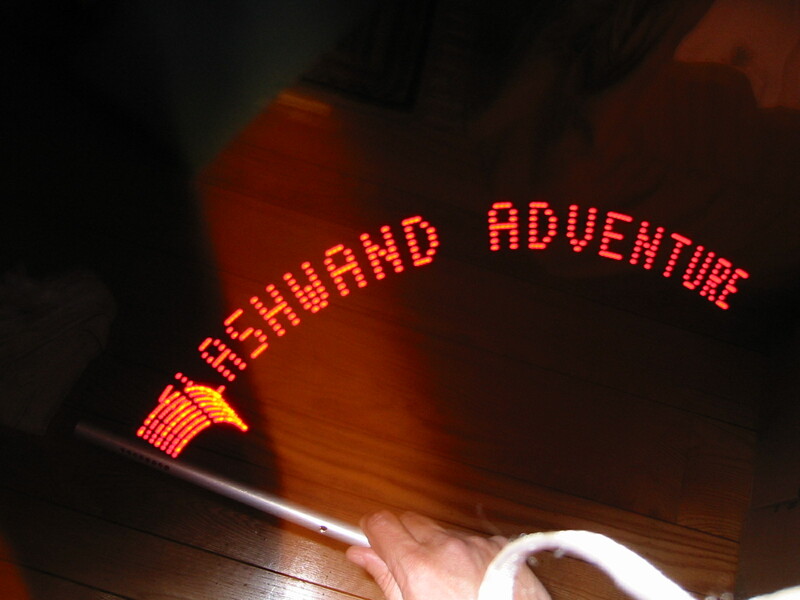 A hardware based game called the Flashwand. The Flashwand displays text when waived in the air. It also can display a variety of colors and patterns from a crystal ball on its end. The programming contains an adventure (RPG) game that uses the display and the single pushbutton. As you play you earn more functions for the wand until you get all of the wand’s powers, and the ability to put program the wand to say whatever phrase you wish. I used this project as my first foray into sub $100 development systems. A PIC processor, a 64kbit EEPROM, 10 LEDs, a pushbutton switch, a tilt switch, and a resistor is pretty much the entire hardware. 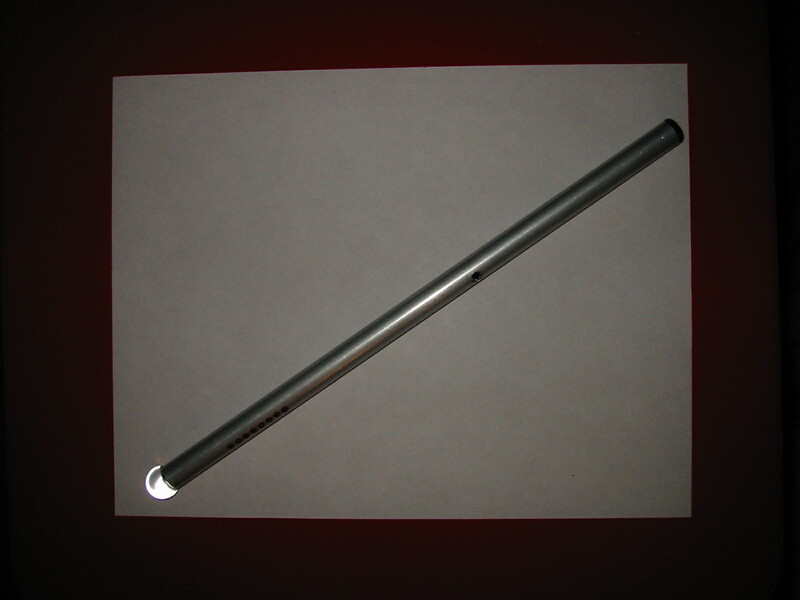 The most difficult part was designing the hardware to fit in a very skinny aluminum tube. I built about 10 of them (have parts for 100) but can only find one or two. This project lead to the creation of Sensys Networks (http://www.sensysnetworks.com). I have been wanting to develop a game for the Nintendo Wii but it seems that Nintendo is not interested in supporting individual developers yet. So instead I looked into the Nintendo DS and found lots of “homebrew” support for development on the DS. So I bought a development system (supercard) and downloaded the devkitpro tools and started. Soon I found a couple of software packages that provided a reasonable “game engine” for my game: Box2D (physics) and uLibrary (graphics). Box2D had a port already to the DS (fixed point) by tobw.net, which I updated to the then current version of Box2D. My first game: PinHockey, a one or two player game (one DS) that is a combination of AirHockey and Pinball. 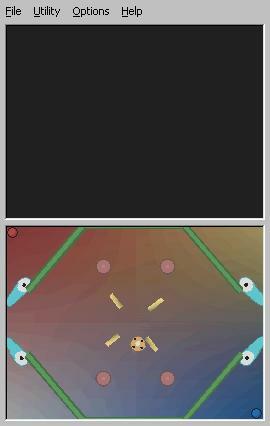 It can downloaded at http://www.relavak.com/downloads/PinHockey.zip. The select button invokes a list of option that can be changed via the touchpad. Have fun. Check my blog at http://www.relavak.com for updates and info on other Relavak Labs projects.